This package contains the Windows driver for the HP Deskjet 3920 printers. 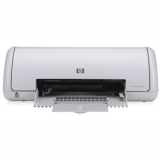 The HP DeskJet 3920 is a compact and versatile color inkjet printer that will let you print documents, photos, greeting cards, envelopes, labels, and many more. The printer offers a reasonable speed, being able to print up to 16 pages per minute (PPM) for black or 12 ppm for color printing. The HP DeskJet 3920 is also capable of borderless printing, allowing you to obtain nice photos of up to 12 Inch (30 cm A4 format) in size. This printer also features a nice design and will look great on your desk. HP Deskjet 3920 Printer Driver has been tested by Download82.com team against viruses, spyware, adware, trojan, backdoors and was found to be 100% clean. Our editors will recheck this software periodically to assure that it remains clean.